The RAW RS-10 is the most efficient and comfortable DE razor I've ever used. 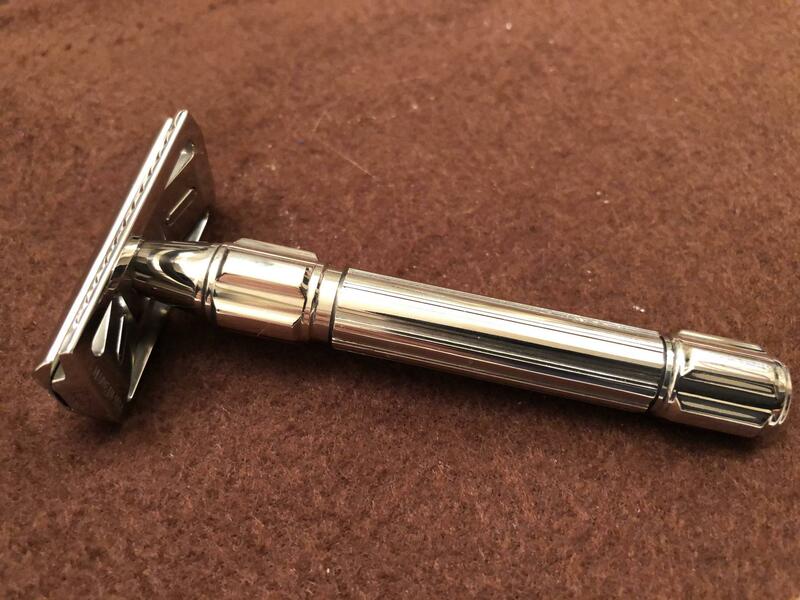 In addition to the Paradigm SE and the OneBlade Genesis, the RS-10 is also my favorite safety razor. As a predominantly straight razor shaver for some years, I generally prefer the single edge to the double edge. That's why, with medical bills piling up after two knee operations since August, I need to pass on the RS-10. 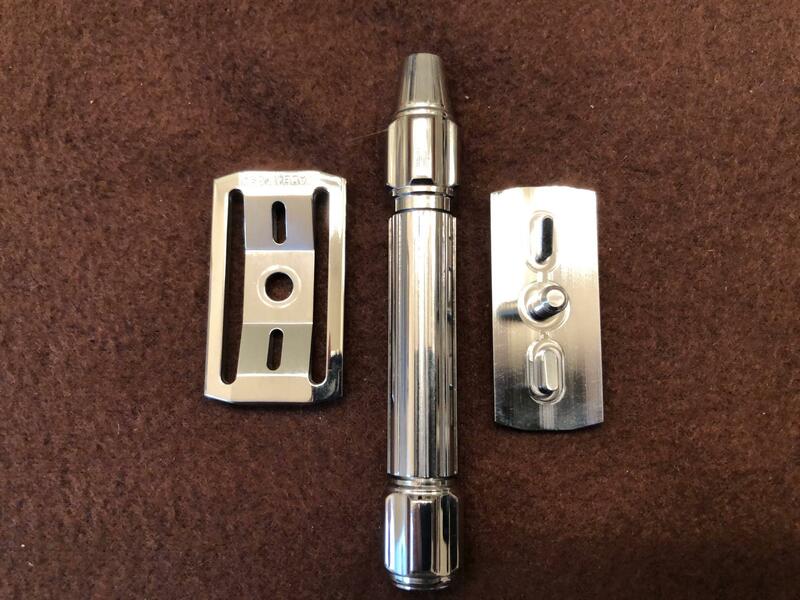 The razor is in perfect condition. It comes with both plates, mild and aggressive — actually, I've never unpacked the aggressive plate. New, the razor cost $365. Your price, shipped U.S., is $315 $295. U.S. sales only, and no trades, please. Paypal is fine. Thanks. 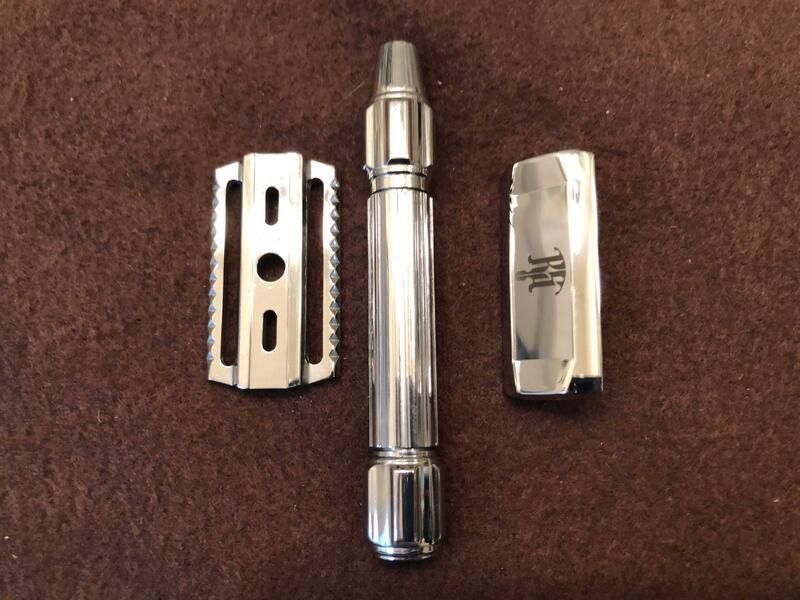 I have reduced the price on the razor to $295. Get it while it's hot — or something like that. The razor has sold. Thank you.